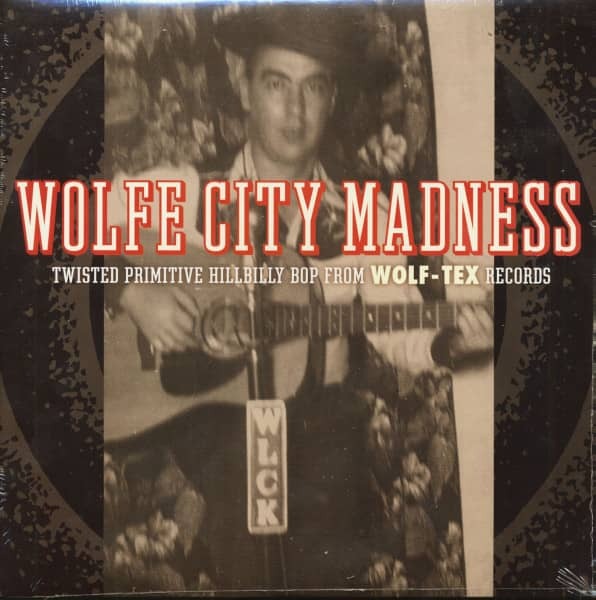 First ever roundup on the legendary Texas label that produced the immortal 1960 rocker How Much Do You Miss Me by Harold Montgomery, presented here from the original master tape in super Nortonic fidelity! Wolf-Tex served up hillbilly, country bop and rockers in pressings that never exceeded 300 copies! 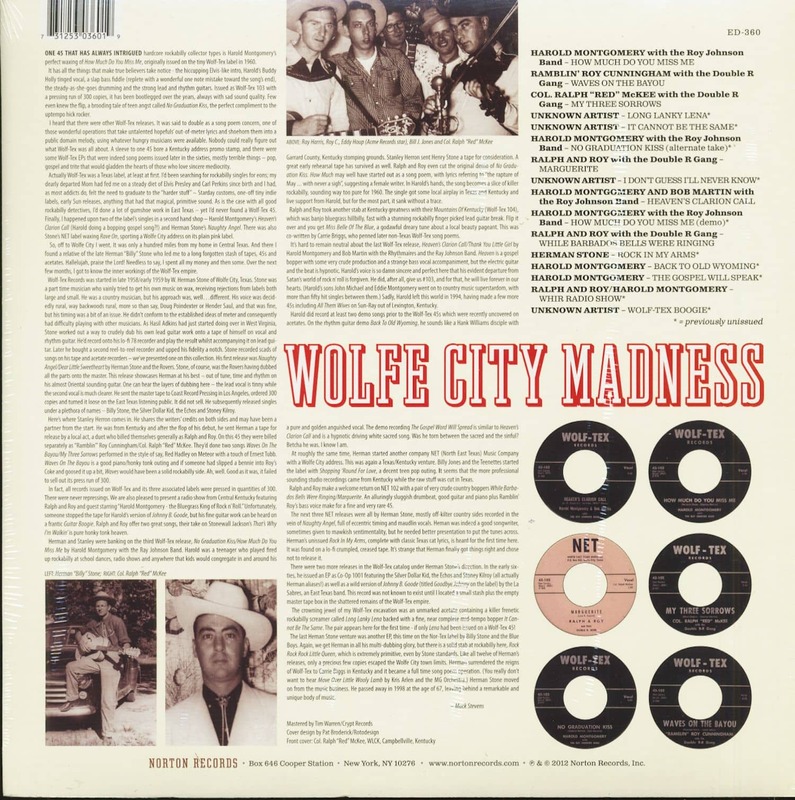 Customer evaluation for "Wolfe City Madness - Twisted Primitive Hillbilly Bop From Wolf-Tex Records (LP)"